I got to see Rascal Flatts tonight! What an excellent concert! I had such a blast! My sister-in-law got us front row tickets. We were so close that we could actually touch their legs and I did! I have never been so close to musicans before. The lights, music, and atmosphere created an awesome experience that I wanted to soak in every minute. Even though I didn’t know all the words to every song, I still had a good time. I left the FedEx Forum singing “Life is a Highway” and wanting more. I think I am going to have to rush out and buy their CD! While preparing to go home from a long day at school, my cell phone rings. “Oh, just finishing up somethings here at school,” I say. “Ok, see you then,” I said as I slowly packed my school bag full of descriptive essays that desperately need to be graded. Once my bag was full, I put my black coat on and advanced toward the door. The jingling of my keys rattled as I walked towards my jeep. I jumped in and was on my way home. My stomach started to growl, so I pondered on what I would fix for dinner. As I pulled into the carport, the thought popped into my mind, mac-n-cheese is what I want. I drained the soft noodles and anticipated the buttery, creamy noodles melting on my tongue. Once drained, I stirred the butter and powered cheese in. I opened the fridge door and reached for the gallon of milk. “What! No milk!” I cry. I thought to myself, “Now what. What am I going to do?” I concluded that I would try water. “It can’t be that bad, right?” I wondered. Well, the girls liked mac-n-cheese for dinner and I settled for left over pasta from Wednesday. Again, I guess I need to make sure I have all the ingredients to make something before starting. It never crossed my mind that we would be out of milk because we always have milk. Oh, well. “Beep, beep, beep….” the alarm clock blared as I stumbled across the room to shut it off. I groggily wipe the sleep out of my eyes as I slowly put my warm, cozy robe on. The girls are excitedly jumping at my feet and wagging their tails to let me know they need to go outside. We advance towards the back door as they rush outside to relieve themselves. I pour my coffee into a colorful, striped mug as I wait for the girls to come back from outside. Once they’re back inside, my coffee and I creep towards the bathroom to prepare for my morning shower. I carefully place the mug beside the sink before retrieving for my towels. “Ah, the hot water feels good against my cold skin,” I thought. After my shower, I am eager to enjoy my coffee. I pick up the colorful, striped mug and touch it to my lips. I take a big gulp and “AUGH!” I cry. Pursing my lips and spewing it into the sink. “That’s not my cup of Joe from this morning,” I thought. I looked down and realized that it was the coffee from yesterday, which was also in the same type of colorful striped mug, that I forgot to pour out. I guess I have learned my lesson to take dishes to the kitchen when I am finished. The thermostat in our house is basically off limits. Tony is tired of paying high heating cost bills. I could care less if we paid for high costing bills because my human thermostat is never consistent with the temperature outside. That’s when the war of the thermostat begins. For some reason when I get home I am always cold. It seems like cold air is always blowing on me. I could have a sweatshirt, jeans, and heavy socks on and I am still freezing. 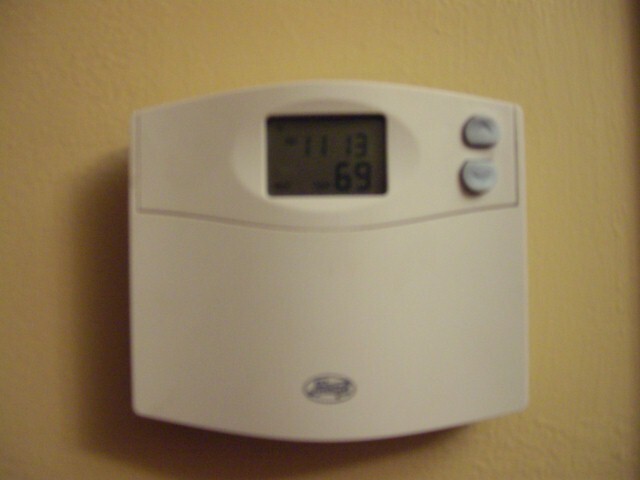 This is the sneaky part; when Tony’s not looking I go and bump the thermostat up. I used to do this when I lived at my parents’ house and my mom would get so angry because she was hot natured not me. I guess things haven’t changed much. So, here I am now. Tony’s at an Open House and I am typing on the computer with the heat blaring. I like it this way; warm and cozy. At least for now I am not at war with my husband and the thermostat. My life– quilted, embellished, comfortable–loved. I was thinking about doing this with my students and hanging them on a bulletin board or having them use it in a piece of writing. You may know what it feels like when your feet ache and you can’t wait to sit down. My feet used to ache and I couldn’t hardly stand up because of them. We’ll last fall my mom took me to a shoe store that sold Merrells. Oh, how I’ve fallen in love with them. I have a brown and black pair that coordinate with all of my outfits. My feet don’t ache and my knees don’t feel like their going to collapse any minute. If you have achy feet, I highly recommend these shoes. Check out the shoes that I have here. They are so worth the money that they cost. Throw out those old raggedy shoes that hurt and purchase what your feet desire–heavenly comfort.